Nothing is worse than planning your RV vacation, hitting the road, and one hundred miles down the road discovering there is something wrong with your engine because of the insane noise bursting forth from it. Or, you’re vacationing in your travel trailer and blow a tire and realize your forgot to replace your spare time from the last blown tire. All Season RV & Trailer Service near Fort Wayne is here to help. Below, we offer up reasons to keep your RV, travel trailer, and fifth-wheel in top shape. Things break from lack of use. An RV or travel trailer is a machine. When it sits, nuts and bolts become loose and rusty, tires lose air, your tanks need sanitizing, especially if you live in a warm climate where mold and algae love to thrive, and light bulbs go out. Check the engine. 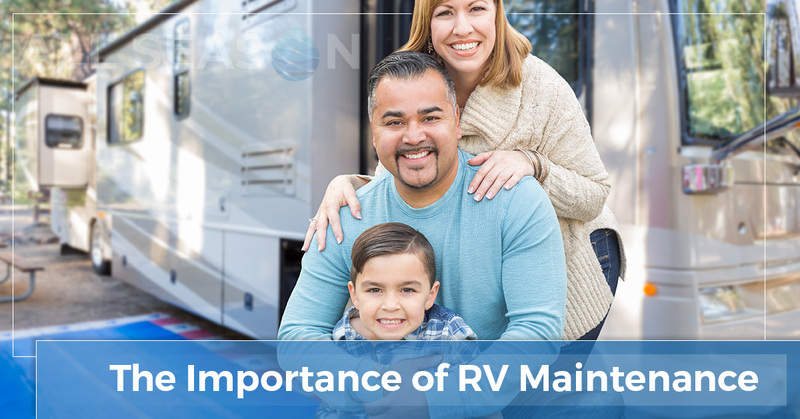 As the power behind the wheel, you want to make sure everything is working properly under the hood before you set out for a long, RV vacation. Check the battery to make sure it’s working properly, check all seals and seams for leaks and tightness, check all fluids, and make sure everything is clean with no residual dirt clogging any necessary air intakes. Check underneath your RV. Damage can occur from road debris or even a higher-than-normal speed bump in the road. Look for loose, corroding, or broken lines or other parts to prevent being stranded on the highway. Run all systems. When your RV is not in regular use, systems need to be recharged. Run your battery for at least an hour and check all the water lines and water pump by turning on the sink and shower, for example. All Season RV & Trailer Service offers RV, travel trailer, motorhome, and fifth wheel repair and maintenance services. Our Travel Package inspection service is a great way to make sure everything is working before you embark on your summer adventures. We hook up your RV or trailer to power and water here in our shop and test everything, including all appliances, the water pump, tires, propane, all inside and outdoor lights, jacks, smoke alarms and seals. We’ll check for leaks and repair any that are found. We’ll check your roof, under your carriage, and your fluids. We’ll make sure when you hit the road, you won’t have any unexpected hiccups along the way. Contact us today for all of your RV service needs.